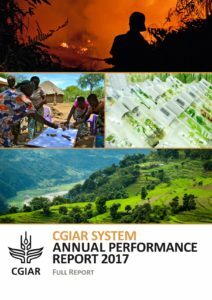 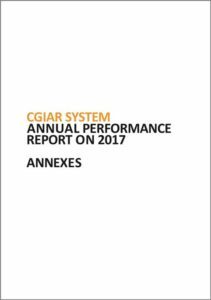 This is the first in a new series of CGIAR Annual Performance Reports which reflect the introduction of new System-wide results reporting systems. 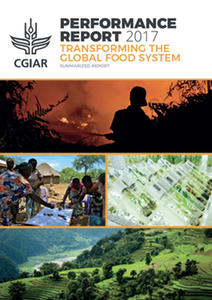 The report presents evidence on progress, offers a reflection on factors that help CGIAR move from research results to achieving practical impacts on the ground, and discusses how CGIAR worked to improve its performance in 2017. 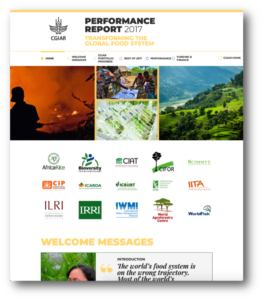 The information in the main report is supported by detailed data, available in four annex tables, four narrative annexes and nine evidence tables linked to the report which give more details and supporting evidence for common reporting indicators, collaboration across CGIAR, and other numbers presented.